In lieu with the Kensington Mattress Launch last Thursday held at Our Home in SM Megamall, the Uratex also announced the assistance of giving 4,000 sets of mattresses, P2M worth of shirts and blankets, and P2M cash donation to help rebuild classrooms in Tacloban. I was deeply saddened when I watched the news. When CNN anchor Anderson Cooper asked a typhoon victim where will she sleep for the night, she answered,"On the streets, anywhere.. I don't know." While we are blessed with shelter, food and comfortable beds, our fellow Filipinos are incredibly desperate, in pain, thirsty, famished and have nowhere decent to sleep but on the cold streets next to the bodies of their dead loved ones. That being said, I'm glad and grateful how Uratex reaches out to the victims of super typhoon Yolanda by helping those gravely affected by this disaster. 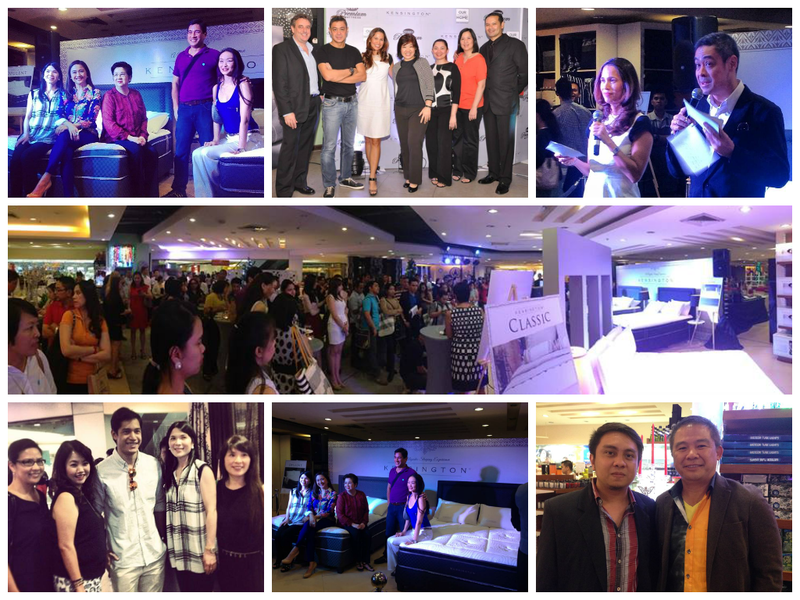 The event was hosted by Ms. Maricel Laxa-Pangilinan and husband Anthony Pangilinan, launching 3 different models, the Kensington® Classic, Kensington® Luxe and Kensington® Opulent, Uratex Premium Mattress. The new majestic collection allows anyone to sleep on its royal and majestic elegance and magnificent comfort that will suit everyone’s varied needs and tastes in comfortable style. Also, the winner of the Student Vignette Contest was announced. 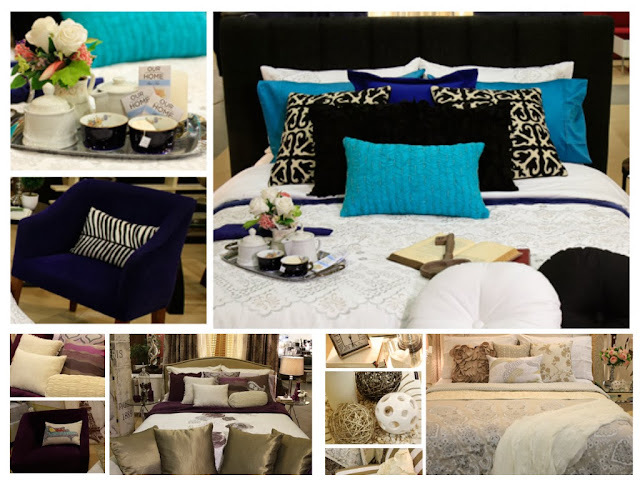 The theme "Alice All grown Up" won with its effeminate yet bold hues of blue that belies royalty and sophistication that will surely make anyone feels majestic. Oh, and expect the Kensington® Collection by Uratex Premium Mattress to capture the attention of Filipino modern mattress lovers. This time, Uratex partners with leading lifestyle furniture store chain Our|Home in order to provide better sleep solutions to Filipinos and further set the standard in wellness, elegance, comfort, durability and functionality in today’s modern beds. Made from a combination of classic bonnel spring, an hour-glass shape and knotted end rings at the top and the bottom with a round helical wire that connects the spring together, and further made relaxing and restful with Uratex Nuovoluxe foam, Kensington® Classic provides a comfortable balance of softness on the surface and firmness deep down. With knitted fabric to cover the mattress, everyone is assured of a good night’s sleep every time. Kensington® Luxe, on the other hand, is made from high quality visco-elastic foam on top of a pocket spring material that will cradle the body to ease up pressure and provide utmost comfort to the whole body. With its soft comfort feel, anyone who sleeps on a Kensington Luxe mattress is assured of an all-over feeling of relaxation and comfortable sleep with less of the discomforting tossing and turning. And finally, Kensington® Opulent is specially designed with the combination of five-zone pocketed springs, visco-elastic foam and natural latex foam topper to ensure optimum support with its firm built and superior comfort to provide everyone a good night’s sleep. To complete the royal sleeping experience everyone needs night in and night out, the Kensington collection also includes the Kensington® Pillow. It's a super soft pillow that will definitely lull anyone to sleep by providing excellent back support, perfect relaxation and an exceptional level of coziness and contentment. I am now blessed to curl up and sleep comfortably with these super soft pillows that really gives the ultimate comfort in a luxurious way. I instantly feel that utmost feeling of slumbering in comfort and elegance. Indeed, anyone with a Kensington® Collection by Uratex Premium Mattress will definitely enjoy its royal beauty and comfort for a very long time since Uratex Premium Mattress and Our|Home guarantees superb quality and durability as each of the mattresses from the Kensington® Collection has a warranty— Kensington® Classic with 7 years and Kensington® Luxe and Opulent with 15 years—that protects the mattresses from inherent manufacturing defects and damage, or wear and tear under normal usage. Aside from the warranties and other snug features, all items under the Kensington® Collection is treated with Sanitized®, which prevents and controls the growth of allergens to provide long-lasting, safe and effective protection against bacteria, fungi, dust mites, mold, mildew and unpleasant odors. Get to know more about the Kensington® Collection by Uratex Premium Mattress, and find out how you can have a majestic sleep experience any time, every time. Exclusively available in Our|Home stores nationwide. Visit www.uratex.com.ph for more details. Share your most majestic sleeping experience in the comment below. I would love to try any of those. It all looks wonderfully comfortable! Thanks for another great giveaway! While those mattress products are indeed beautiful and the fact that Kensington makes some of the best luxurious products within the Bedding and Mattress industry (I say that somewhat bias lol) - you have to indeed commend the bigger picture, which is the true act of kindness in being a great assistance to those that were affected by the Super tycoon. Just shows you the true power of love, and the act of kindness to stick together and help each other to best of our abilities. Wow... You've got yourself a hybrid memory foam/latex mattress. Those surely are worth their price. Serta has been one of the world's leading mattress manufacturers for more than 75 years. Consumers have trusted Serta to give them a quality product at a fair price which assists them in getting a good night's sleep. In regards to your health, the most important piece of furniture you own is your mattress. You spend approximately one third of your life in bed. An uncomfortable mattress can have a negative effect on the quantity and quality of your sleep. If you don't want your guests feeling this way, you should certainly invest in a good sofa bed mattress. Your can purchase a sofa bed mattress to your liking, soft, firm or a combination of both, so that your guests feel re-energized and refreshed upon waking. The use of memory foam best mattress topper answers our longing for something that can make our life more comfortable. With this, we can wake up with a fresh feeling. This gives us a positive feeling to handle another heavy day's activities with ease. Another mattress pad made up of traditional material is the cotton best mattress topper. Fundamentally, a froth sleeping pad cushion embraces and fits your body forms, improving you feel and more bolstered when you lay on your bed.